Best free blogger templates 2016 are used to create a beautiful blog websites. 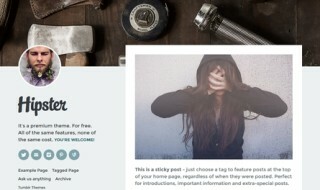 These blogger templates have great features which designed by professionals. Blogger is one of the best platform for blogging. Blogger is launched by google to increase the scope of blogging on the internet. Using blogger, lots of people started to share their knowledge with this user-friendly platform. Users attract towards blogger because it’s easy to use and not require any knowledge of programming languages. It’s created by google so there is no doubt about the popularity of the blogger and thus the blogs easily get hit if there are some useful contents for the readers. In the past, there are limited blogger templates available, but due to the growing popularity of blogger it attracted many designers and developer. They started to create free blogger templates which help blogger user to improve the look and functionality of their blog websites. 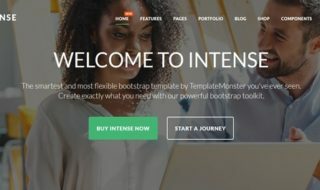 Google also releases free blogger templates every month but still some user wants extraordinary templates or you can say premium blogger templates. But there are lots of free blogger templates available which have the features like premium templates. So here I tried to collect free blogger templates 2016 which may help you to start a blogspot or blog websites. In this article, I’d like to showcase you a list of some best free blogger templates 2016 for making beautiful blog websites. These free blogger templates are handpicked by me after reviewing each and every template. So enjoy this collection of best free blogger templates 2016! Alex is a simple, creative and clean responsive HTML5 template.This template is perfect for web designers, photographers, freelancers and for all creative people. Fighting for a place in the sun in a blogging world is getting harder. Which is why design of a website needs to be chosen with a special attention. Among all great HTML templates on the Web, this template deserves a mention. If you plan to make a powerful blog website, which follows all of the web design trends of 2016, you may consider using this one. Full-width image, ghost buttons, drop-down menu and many more – this is just a small part of a huge list of advantages of this HTML blog template. Creative is a beautifully minimalistic portfolio Responsive Blogger template, making your talent the focal point of your portfolio – the way it should be. Present your work in a professional manner with a timeless design. Arcade Mag is a responsive gaming blogger template that will offer each and every feature that you need to run a successful gaming blog, or magazine, or multimedia site. Perfect Mag is a complete Blogger theme for a news or magazine site with the focus of attracting and keeping visitors on their site. It uses the best clean SEO practices, and on top of that, it’ s fast, simple, and easy to use. Sora Moon is a minimal Theme designed for blogger. It provides many features that blogger will love it. Sticky post, Social share in each post, many post formats such as Video, Audio, Soundcloud(audio). Sora Moon Blogger Template comes with a stunning design, stylish features and fully responsive nature which is perfect for creating online news, magazine or gossip websites. Max Blog is one of a class in the series of blogger templates. Beautiful, sleek, well crafted with hands of very experienced designers. Max Blog is a elegant and professional news theme which is great for anyone looking to display a lot of content in a clean and user friendly manner. Spraymag is a magazine style free blogger template. Spraymag is a clean and modern blogger template which is suitable formagazines, newspapers and the blog websites. Spraymag blogger template is very flexible and super easy to use. Persona is an awesome Blogger Template which brings simple & Minimalist design. It’s ideal for blogging. It’s very flexible, fully customizable and powered with Option Framework. BetaCommerce is a perfect eCommerce solution for small business owners to quickly setup an online shopping store within minutes and start selling their products with ease. Movieism is a unique and stylish entertainment blogger template which is appropriate for any kind of movie blog, cinema, movie promotion, film blogs and movie communities. Brand Mag UX is pure and fully responsive Blogger Template builds with latest technologies like HTML and CSS3. It has a unique design concept with multiple elements to customize and turn it around. You can use it for design, portfolio, magazine, personal blog, products, presentation and landing page etc. It is also pre-optimized for on-page SEO providing enough functionality to index your posts 80% faster than the other Blogger Templates available on different websites. Journey is a perfect Blogger template for those who loves to travel and blog. Its more over a Traveller blogger template personalized and designed keeping that in mind. It has grid layout with fluid responsive display allowing your readers complete convenience while reading your blog posts. It is ideal for photographers, daily lifestyle bloggers, jouney blogger and other users. Portify is a clean and well-structured Minimalistic Blogger Portfolio Template for Creatives. If you’re looking for a gorgeous looking portfolio theme then you’ve just found it. Simplify is a clean blogger template you can use this for your personal blog or magazine/music/photography blogs. Belastic Responsive is a perfect choice for free premium blogger template which is having a magazine style. This template is designed with maximum colours that makes this theme more cool with 100% responsive design. This theme has image section which makes this template also suitable for photography and wallpaper sharing websites. Indonesia is a mesmerizing fully featured magazine blogger template. It shouts premium quality with un-matched capabilities and features. Its jaw dropping beauty and the layout orientation lifts your content to new heights. 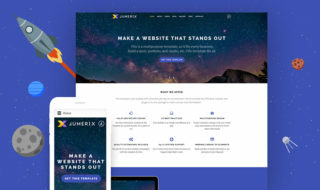 Vortex is 100% responsive, high functioning and multimedia magazine style blogger template designed for richly professional bloggers and webmasters. It has some efficient features and functionalities that would certainly make you go gaga about this template. 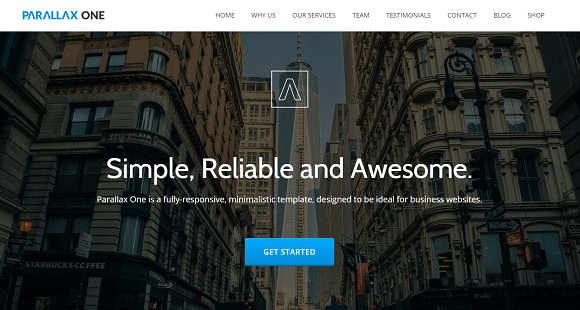 Download || Demo || Responsive free blogger templates 2016 by templateism. Magzon is a Blogger magazine template with a clean and elegant design . The template is ideal for the magazine, news and blog websites and can be very easily configured to use for any purpose. The theme is highly flexible and is incredibly easy to use. Created using the latest HTML5 and CSS3 techniques. Rofl is free minimalist categories blogger template 2016 with responsive design, 2 column, red with combination black color for main background and menu for navigation at right header. 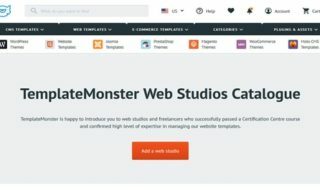 Very simple blogger templates for gallery or personal sites. Wedding Mag is good wedding categories blogger themes with responsive design and full gallery style. Very professional and premium blogger templates for gallery or personal sites. Magazinify is a 3-column theme. It is a fully responsive & retina ready theme packed with many features: clean layout area, ,mega menus, widgetized areas for banner ads, breaking news ticker, social share buttons, related posts, footer menu, social links, and more. If you are looking for a flexible & powerful theme for editorial/news sites with mobile & retina support, Magazinify is the best choice! Yogesh thanx for these owsum templates and u did a great job. I really love with “FOOD MAG” template. Welcome! I am doing this to make happy visitors like you.